I’m writing this blog from personal experience, as unfortunately I’ve possibly got flu and feel quite groggy! I’m very aware, however that elderly people might get hit worse than me, as I’m still relatively young (in my eyes at least) quite fit and armed with a strong immune system! A good few days or week’s rest and I’ll be back to normal and next year I’ll get my flu vaccination earlier! Our elderly relatives, neighbours etc might not be so lucky, flu to those of us who are reasonably healthy is debilitating, annoying, and a nuisance: to those older or with chronic health conditions it can be a killer. Much as I like the natural approach, if my parents were still alive I’d encourage them both to have the flu vaccine this year. In particular, this winter’s 2017/2018 flu vaccination seems to be particularly effective. Also this year we have seen an increase of influenza in Australia and New Zealand and the concern here is that we might have an increased number of cases, if not necessarily increased severity. A flu vaccine even if it does not prevent flu can shorten the instance and help better recovery. In addition to the flu vaccine there are other ways we can encourage our elderly folk to look after themselves. Keeping warm is very much underestimated, as the body has to work much harder in colder environments which causes strain. This can cause problems not only in terms of colds and viruses but also to those who have heart conditions or chronic respiratory conditions. Without wishing to cause alarm it is possible that extreme cold can bring on heart attacks or severe asthma attacks and the like. So sensible measures in cold weather would be to ensure that the elderly have a warm environment, sufficient warm clothing, plenty of warm food and hot drinks, as that natural comfort also brings additional health benefits. Also we can ensure that they have not only their regular medication but also an “emergency” pack in case NHS response times are slower. For example. If they asthmatic they might need an extra inhaler for increased doses as advised by their GP/ asthma nurse. It would be sensible to keep some general supplies for example paracetamol and dehydration salts as this time of year stomach bugs could also have a field day e.g. Norovirus as seen in previous years. 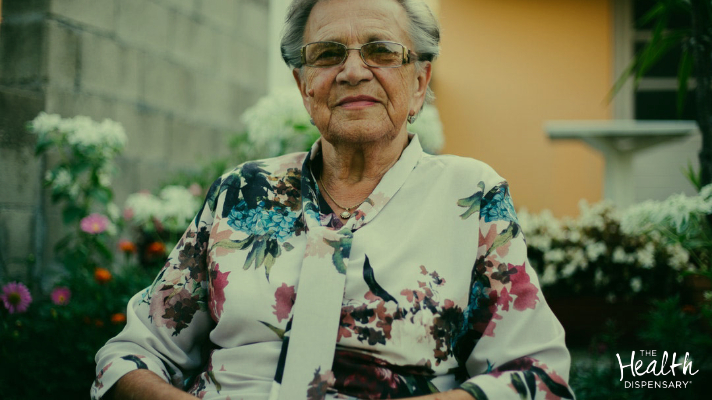 The elderly can be particularly prone to dehydration as often they don’t drink enough, or medication may make them go to the toilet more frequently. I’m a great fan of the old-fashioned hot water bottle and I’m never too far away from one especially as our British summers have become cooler! We need to bear in mind that elderly or people with medical conditions that make them less mobile or less stable could have difficulty in pouring hot water and be liable to burns. There are heat packs available which can be warmed in microwaves (as much as they don’t like them) they are an option for older people and quite convenient. At the pharmacy we’re always happy to help, so if the winter months mean us making a few more deliveries to keep people safe, well and warm we’re more than happy to do so. If you’re worried about an elderly neighbour or relative please ring us and see what we might be able to do to help. Pharmacy delivery services are not funded by the NHS, so not limitless, but we’d be happy to prioritise those in real need at these times. If you’d like to book in for a flu vaccine just give us a call and we’ll make you an appointment to suit, or you can book online. Remember it’s not just the elderly that need vaccinations as you could be putting them at risk by not being vaccinated yourself, so this is particularly important for carers and those that work or live closely with the elderly. If you are a carer you can have the flu vaccine free of charge in Wales on the NHS. If you don’t qualify for a free vaccine we can still provide you with the private service as long as your medical questionnaire is clear. So to summarise, this winter let’s keep warm and cosy and keep those that we love and care for the same. Winter IS coming……whether we like it or not ! CALL 111 for non-urgent Health Advice if you are concerned about an elderly person’s condition.